Did you know that one tablespoon of mayonnaise has 100 calories, while one tablespoon of yogurt has 10 times less? 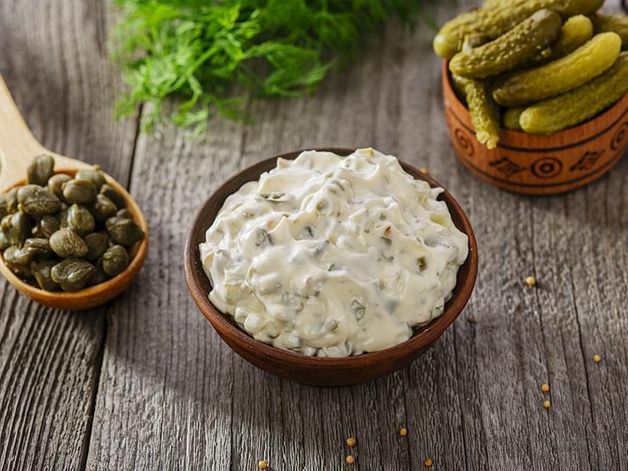 Dilute your serving of mayonnaise with an equal amount of yogurt, as in our Tartare Sauce, and you will cut down your calorie and saturated fats intake, while preserving the flavour. Also, did you know that one serving of 150 grams of French fries has about 290 mg of sodium, while one serving of our Potato Wedges with Rosemary and Garlic has 29 times less? … Besides being less greasy and so yummy! With a few of these substitutions every day, you’ve got a great head start for better health, while enjoying delicious food.